Goodbye, Firaxan Shark; hello, Corellian Run! So my server was finally approved for transfer yesterday! I just transferred my 2 characters to Corellian Run. About 5 small PVE servers were all moved there. So now there is a wait to get on. I am 335 in the queue. Great. I know it’s just busy right now because everyone is transferring; I just hope they didn’t overload these servers. 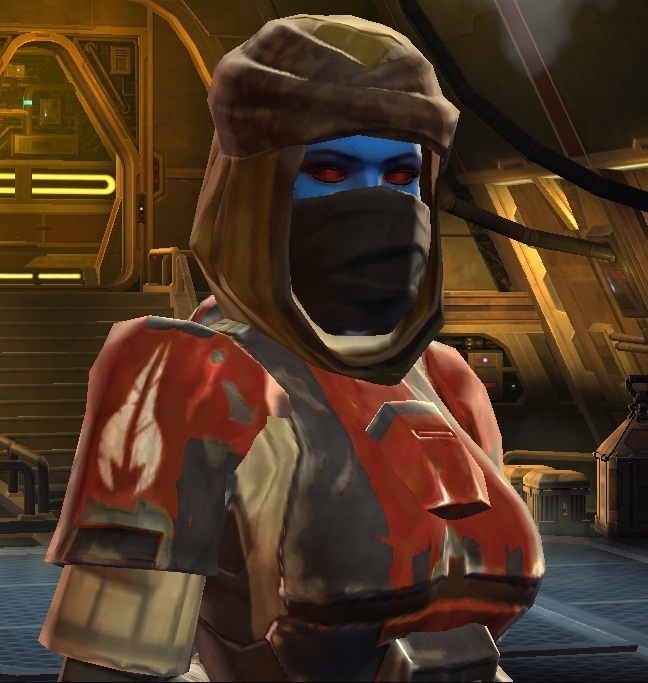 Although I swore I didn’t want to play Imperial, my main character Sind’onin is a Chiss lvl 45 Bounty Hunter, DPS mercenary. My characters don’t have backstories so much as personalities. For Sind’onin, a lawful neutral character, bounty hunting is just a job. She knows she’s the best, and she will always do what the job requires, but no more–she doesn’t enjoy killing or random destruction. She is motivated mainly by credits and loyalty to her team. She doesn’t ask a lot of questions–she doesn’t get paid to think, just to get the target. Although she started out as a loner, she has acquired a talented team that supports her, and she has their backs in return. I usually have her title as “Sind’onin the Revanite,” a nod to the quasi-neutral protagonist of KOTOR. 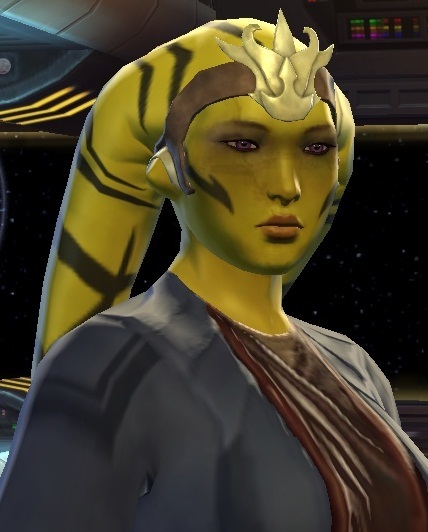 While, Sind’onin is a woman of action, my lvl 15 Jedi Consular Sortisi is a woman of thought. She is a Twi’lek healer sage, lawful good, and prefers peaceful meditation on the Force to fighting. She utilizes diplomatic solutions whenever possible and is always asking insightful question to seek the truth. She, too, is motivated by loyalty to her friends, especially her master. I usually have her title as “Sortisi, Black Bisector,” because it is the most awesome title in the game.